Clean the small ones first! “Farm to table” is the newest craze in restaurants. But that’s nothing new. 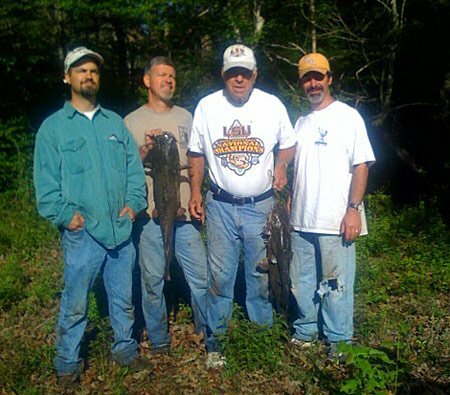 Scott Long’s family has been practicing “creek to table” for decades. That’s even better. 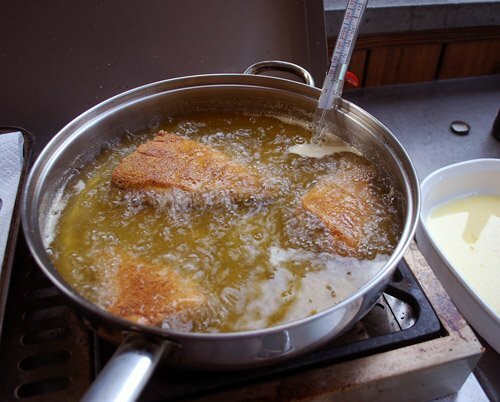 Fishing may be fun and relaxing, but the real reward in fishing for many folks (including me) is fried fish for supper. And when you leave them whole, well, that’s a whole ‘nuther level of fine eating! Scott fishes in a way that most people have forgotten how – simple and back to the basics. And he cooks fish the same way, too. But before we get to Scott’s favorite way to cook fish, here’s some important fish preparation advice he picked up from his dad, Dandy Don Long. “Clean the small ones first. The idea is that if you’re exhausted and have a mess of fish to clean and you begin with the large ones, by the time you get to the smallest ones you might be too tired to go on and just toss them out instead. Words to live by,” says Scott. Amen. Now how about frying those fish. Is frying the best way to eat them? “Absolutely,” says Scott. 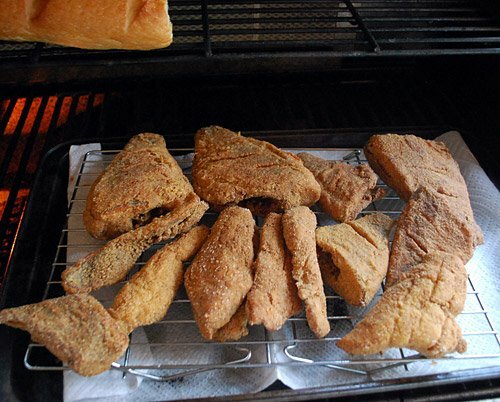 “I cook all fried fish the same way – doesn’t have to be crappie. My best tips are to use a thermometer to make sure your oil is the right temperature, and use a cooking oil that can withstand a high heat, like peanut oil. Other tips are to drain the cooked fish on a wire rack (instead of letting them get soggy on paper towels), and cook them in small batches so as to not cool your oil too much. As you take them out, be sure to keep them in a warming oven while you cook the remaining batches. I hope you’ve enjoyed the past three writeups with Scott. I certainly enjoyed doing them. And now I’m getting ready to enjoy another college football season beginning Saturday. I hope it turns out just as “dandy” as Scott’s best fishing trips.